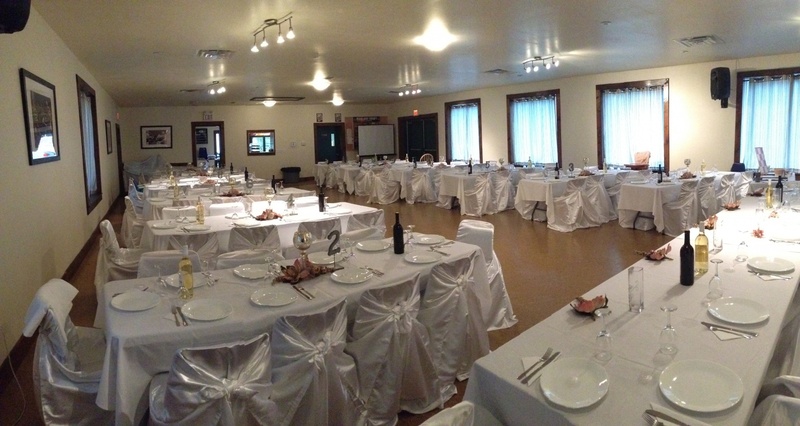 Consider the Victoria Park Fieldhouse to host your next meeting, party, or banquet. Conveniently located in the heart of Fergus, at 160 Albert Street. The bright, spacious room has large windows overlooking the playing fields at Victoria Park. Rentals include use of the fully functional kitchen, plates and cutlery, coffee machine, sound system, and sufficient tables and chairs for any configuration to suit your needs. The main room has a capacity of 120 people, and the lounge allows another 25 people to be comfortably seated. No half day rentals during weekend times. *Ongoing rental pricing available, please contact us for details. For enquiries or to view the room, email facility manager or click the Fieldhouse Booking Calendar to view tentative availabilities. Please note that, at present, the sale of alcoholic beverages will not be permitted in the facility for any non-rugby club events. If your event requires a "No Sale" permit please make that information known at the time of booking. Fieldhouse Booking Calendar  Click here for the calendar!